Melissa on It’s a go! nina on It’s a go! HalloWishes fireworks at Magic Kingdom #mnsshp, originally uploaded by Marloes van Beek. 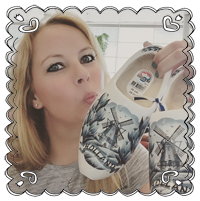 Marloes, pronounced as ‘marr-LOOS’, was born and raised in a small country that is known for the cheese, windmills, and wooden shoes: The Netherlands. She made her way across the deep blue ocean in 2014 and now lives happily in the City Beautiful – Orlando, FL -with her two sons.